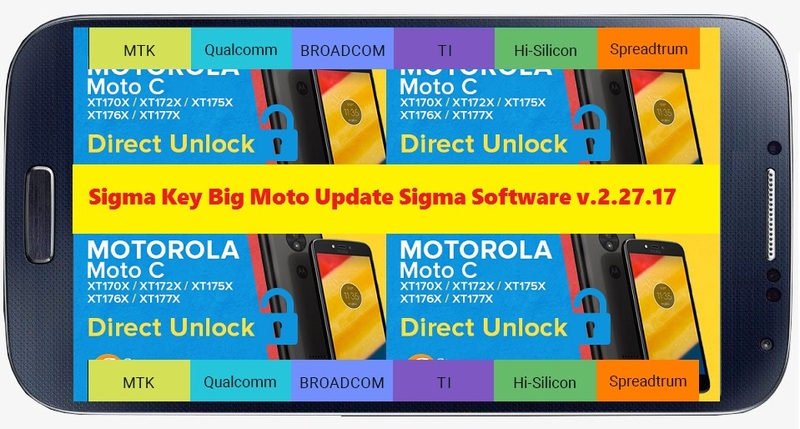 SigmaKey Software v2.27.17 released on 19th April 2018 and With this release we have added support for Moto E3 / E3 Power / Moto C / Moto C Plus / Moto E / Moto E Plus / Moto E4 / Moto E4 Plus series and more..
How to Install Sigma Software? Download the Sigmakey or sigma software latest version from the above link and install with setup file, it supports Windows operating system. 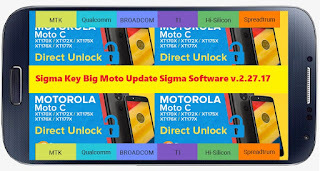 To install and use this software you must have Sigma Key box, this box is used for flashing and unlocking smartphones and the latest sigma software setup comes with big moto updates. How to Use Sigma Key Box?